They should’ve sent a poet. Or a Vedek, at the very least. Earlier this week, we got word that the crowdfunded Deep Space Nine documentary What We Left Behind was hitting theaters in just over a month. And now we’ve finally got a great look at the documentary—and a bunch of the remastered, high-definition footage from the series especially made for it. Shout Factory has released the first trailer for What We Left Behind, looking back on 25 years of the beloved—if still divisive, for its interrogation of the prices paid to live in the future paradise Gene Roddenberry envisioned all those years ago—Deep Space Nine. There are laughs, tears, insights from the cast and crew, drama, and even animated storyboards envisioning what might have been should Deep Space Nine have continued for an eighth season. But yes: There’s also that crisp, clean footage giving us a glimpse at HD Deep Space Nine that may otherwise never see the light of day. And god, does it look good. What We Left Behind was originally intended to release last year to coincide with DS9's 25th anniversary celebrations, until another round of crowdfunding was announced in order to completely remaster the roughly 20 minutes of footage from the show used throughout the documentary. 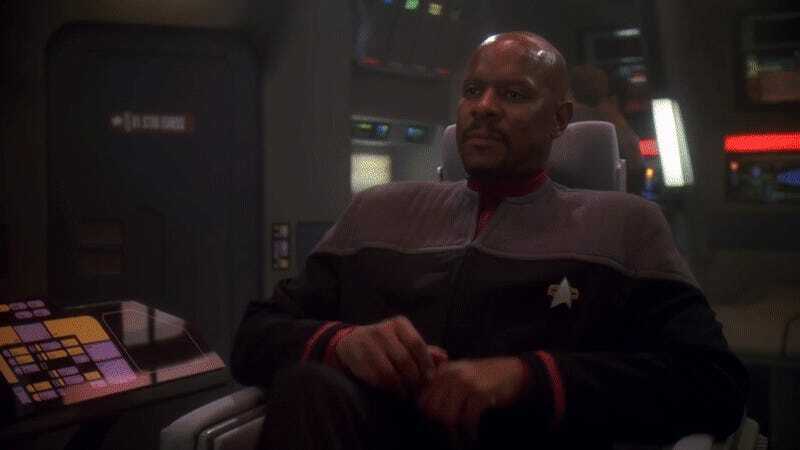 Simply due to the cost of the process involved and the complications in bringing Deep Space Nine up to HD standards, it’s highly unlikely a commercial re-release of the entire show in HD the same way the original Trek and The Next Generation got will ever happen. What We Left Behind is, for now, the closest thing we’re going to get to seeing HD DS9 in an official capacity. So far, judging by this tiny tease, it was worth the extra wait. What We Left Behind will screen in select U.S. theaters for one day only on May 13, ahead of home distribution to crowdfunding backers and beyond at a currently undisclosed date.